.....I stood in front of a mom who brought her daughter from Atlanta to experience the magic of ESP day camp. She’d heard of all of the benefits and was willing to stay in a hotel for the week in order to benefit her daughter. She was beaming from the week-long experience. 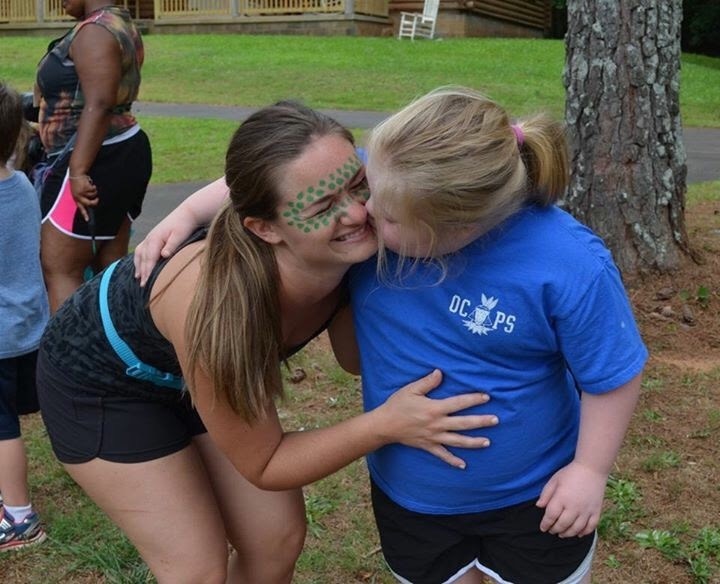 She revealed that her beautiful 12-year-old with Down syndrome would count down the minutes from the time she left ESP until the next day of camp. And yet, as she shared this joy, her face clouded with concern. She expressed her hesitancy in securing a spot for her daughter at overnight camp. This was not unusual. 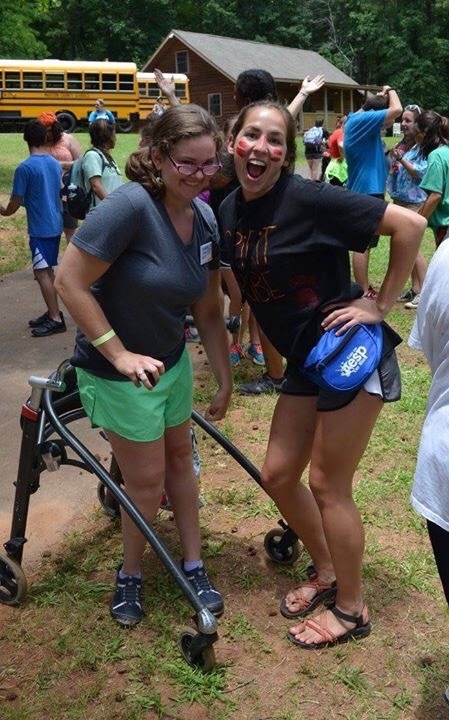 For fourteen years, I have convinced parents of children of all abilities to let us have their children overnight. I explained to her that the magic only grows with sleep-away camp and that there are so many benefits. Her daughter would build confidence and make long-lasting friendships, and she, the momma, would find much-needed respite in the week. And my heart dropped, as it has every time I have heard this statement. 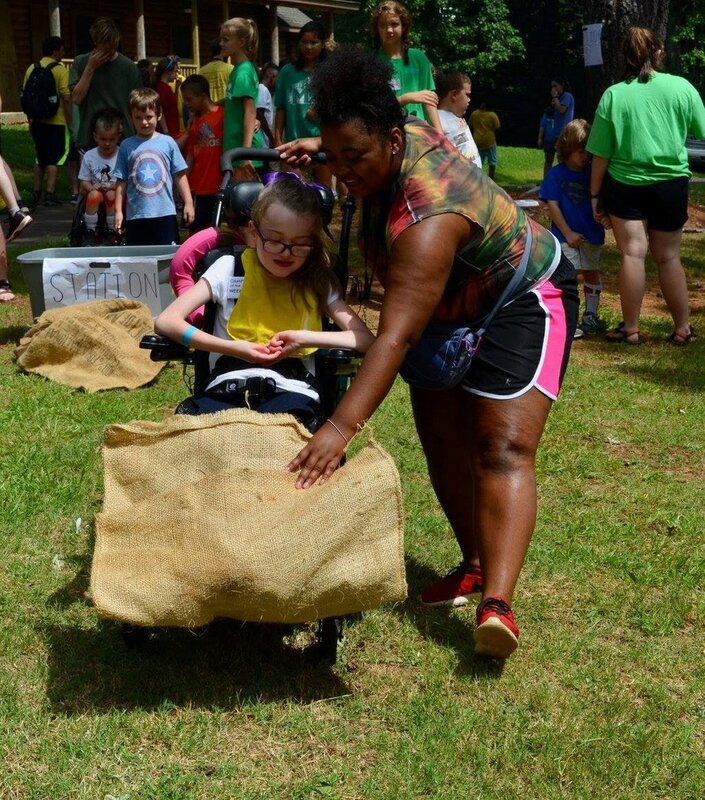 Moms, Dads, and caretakers of special needs children…. Your child is not our burden. Your child doesn't bear weight on us. There is no and will not be any “have to” when it comes to your child at ESP. We are not mandated to provide a service to you or your child. ESP was created for your child. We each choose to be here because of you. Your child who may be unique (to everyone else) because they act or speak differently, have medical needs, get fed through a G-tube, have a seizure every once in awhile, need support while changing or toileting….. Your child’s uniqueness is the opposite of a burden… it is our blessing. So, the next time you drop your child off and question leaving them because of all the things that make them special…. remember that we come to work because we GET to be with your child. Their beautiful uniqueness lightens our souls. noun- a load, especially a heavy one.